"Every morning in the bathroom I would repeat the same phrase to myself over and over again . . . Today I'm really gonna be a tough guy." Growing up in a poor village in northern France, all Eddy Bellegueule wanted was to be a man in the eyes of his family and neighbors. But from childhood, he was different--"girlish," intellectually precocious, and attracted to other men. 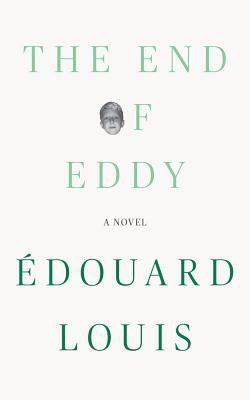 Already translated into twenty languages, The End of Eddy captures the violence and desperation of life in a French factory town. It is also a sensitive, universal portrait of boyhood and sexual awakening. Like Karl Ove Knausgaard or Edmund White, douard Louis writes from his own undisguised experience, but he writes with an openness and a compassionate intelligence that are all his own. The result--a critical and popular triumph--has made him the most celebrated French writer of his generation.